Helpful feedback about your organization’s performance and assistance with creating action plans to make improvements. Workshops to teach helpful methods to improve organizational performance. AS A LEADER WHAT KEEPS YOU UP AT NIGHT? to recover quickly with increased resilience after a setback in the workplace. 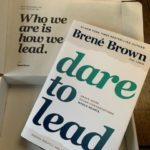 About the Dare to Lead Program…. and most recently completed a seven year on courageous leadership. She is the author of five #1 New York Times bestseller: The Gifts of Imperfections, Daring Greatly, Rising Strong and Dare to Lead. All services offered by the Institute are free and available to nonprofit organizations who serve Williamson County.